If you're looking for some last minute gift ideas for the women in your life, then look no further!! I love lush, so I was very excited when I placed my first online order with them two weeks ago. 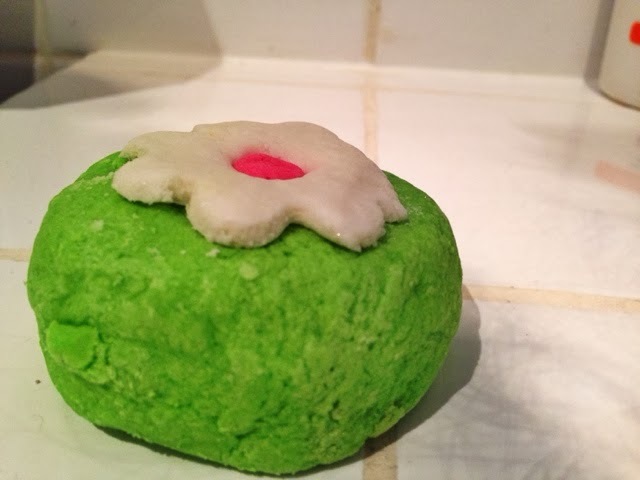 I didn't even know I could order all of my favourite lush products online until a friend of mine told me about it, and even then I was still a little dubious! I was scared that they were going to break in the post, as I know how careless Royal Mail can be, especially at this time of year. I ripped open the box as soon as it arrived and lush's own biodegradable styrofoam wotsits fell out of the box, as well as my items, and none of them were broken at all! As it's christmas I decided to order some christmasy bits, as well as one of my favourites! Pop in the bath! is one of my all time favourites. I can never quite put my finger on what the smell reminds me of, but it's so relaxing and makes me feel as if I have been transported to a different place! The oils inside are the same as what is used in the Olive Branch Shower Gel, which make the bath water feel super soft, and inturn have the same effect on your skin! Plus look how pretty it is! How could you not love it!? Second up is Snow Fairy! I buy this every Christmas, and every year I wish I would have bought the bigger bottle, but I can never justify paying that amount of money of something for myself, especially at Christmas. 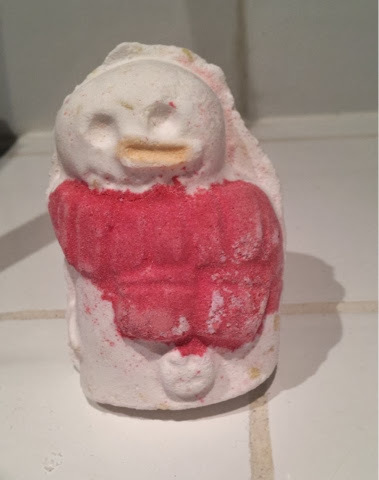 I know it's a shower gel, but I use it in the bath, with one of those body buffer scrub things, y'know them random puff things that come in almost any shower set? Yup. Well I squeeze some of that on there and then scrub away! 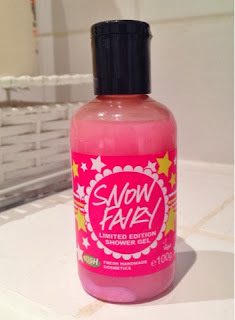 It makes the smell of candy floss and pear drops absorb into my skin, and it's amazing! The Snowman, was slightly weird, but it was a good weird. It as the first time I had used it, so I didn't know what to expect; but I think I would definitely use this one again in the future! His main ingredient is cocoa butter, which means your skin is moisturized whilst you bath! It dissolves to release the cocoa butter in the bath, with a shimmer of glitter. It was unexpectedly good, as I thought it was just going to be a bath bomb that dissolved, releasing a slight chocolatey/vanilla smell. You should try it before it leaves the shops! Lush are really cool because they don't test their products on animals, and all of their products are natural, so there isn't any nasty chemicals in them! Have you tried the phoenix rising bathbomb? Also dragons egg, it has gold glitter in! Both turn the bath a gorgeous colour and smell amazing too!